Estimates put the total number of species â€” described and undescribed â€” at between 5 and 8 million. This is why, when J. B. S. Haldane, a British geneticist, was asked what his studies of nature revealed about God, he replied, "An inordinate fondness for beetles". There are few things that a beetle somewhere will not eat, even inorganic matter may be consumed. 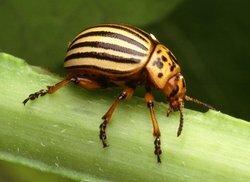 Some beetles are highly specialised in their diet; for example, the Colorado potato beetle (Leptinotarsa decemlineata) opts almost entirely to colonize plants of the potato family (Solanaceae). Others are generalists, eating both plants and animals. 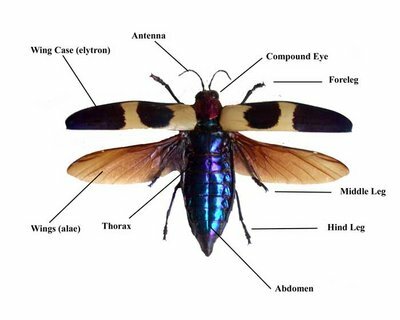 Ground beetles (family Carabidae) and rove beetles (family Staphylinidae) are entirely carnivorous and will catch and comsume small prey such as earthworms and snails. 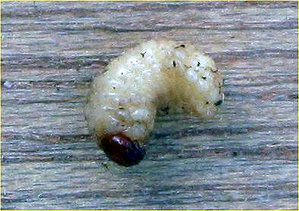 Decaying organic matter is a primary diet for many species, this can range from dung which is consumed by coprophagous species such as the scarab beetles (family Scarabaeidae), to dead animals which are eaten by necrophagous species such as the carrion beetles (family Silphidae). The beneficial impact to the general ecology of these two activities is huge. Various techniques are employed by many species for retaining both air and water supplies. Predaceous diving beetles (family Dytiscidae) may be the most common example, they employ a technique of retaining air when diving between the abdomen and the elytra. Prices current as of last update, 04/18/19 7:21am.